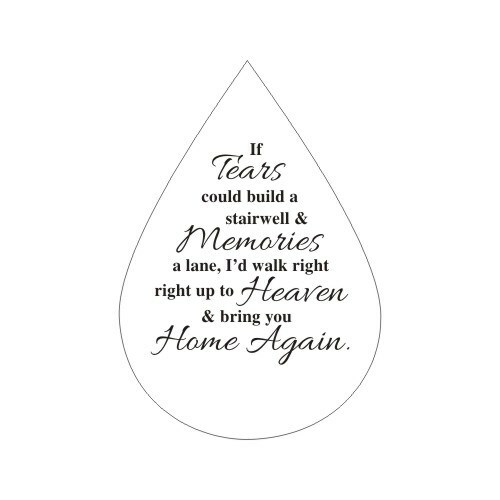 Create a beautiful christmas memorial ornament item with our engraved memorial tear drop ornament. 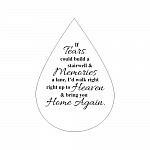 We will engrave this glass tear drop with any name, any birth year and at rest year to make a special keepsake. 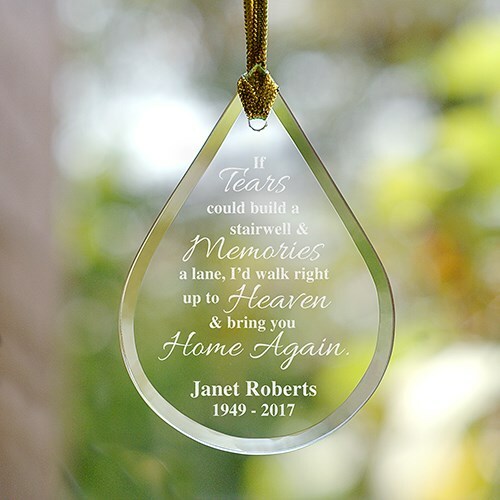 Made of tear drop shaped clear beveled glass Approximate size: 2.75" W x 3.75" L. Gold hanging loop included.